World Moms Network and Heartfulness Institute have joined together to create the new GLOW series of Webinars for introducing women across the world to Heartfulness Meditation. Over here at World Moms Network and Heartfulness Institute, we believe that this world of peace and equality can be born only if the mind is at peace, and the heart at joy, for every single individual in the world. For change begins with you, with me, with the woman of the family! GLOW stands for ‘Genuine Loving Outstanding Women’, and is a series of monthly online workshops for women everywhere to learn and practice Heartfulness meditation in the comfort of their homes or their workplace. Each webinar will feature an expert speaker, chosen from women who are outstanding in their fields, who have influenced their own family, or their community, or their nation. These women have been change-makers and influencers. They’ve also been able to find peace, joy, and love in their own lives, and have influenced people around them to find the same. Women are well-placed to create harmony and peace in all areas of life, often starting within families and spreading out into the world. And we’re highlighting just that! The first webinar in this series is on 5th September 2016, 9:30 AM ET/6:30 AM PT. Calculate your local time here. The theme for the first in the series of webinars is “Individual Peace Contributes to World Peace. 21st September is celebrated as the UN International Day of Peace. Jennifer Burden hails from the USA and is the founder and CEO of World Moms Network, an award-winning online media organization and website promoting a world of peace through the common bonds of motherhood. 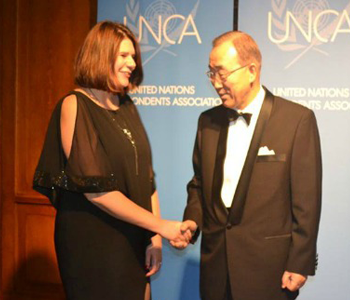 Jennifer has been nominated a Global Influencer Fellow and Social Media Fellow by the UN Foundation, invited to the White House, spoken at the World Bank for the right of a universal education for all children, and her writing has been featured on Impatient Optimists, The Huffington Post, ONE.org and BabyCenter. She is the mother of two girls and practices Heartfulness meditation. Jennifer has been hosting Heartfulness meditation sessions through internal webinars on World Moms Network. In this webinar she will guide us to contribute towards world peace through meditation. New to meditation? These workshops are a perfect place to start! And… you can bring a friend! 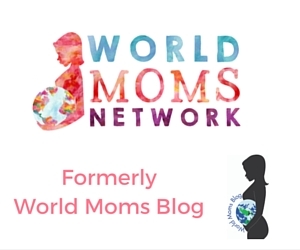 World Moms Blog is an award winning website which writes from over 30 countries on the topics of motherhood, culture, human rights and social good. Over 70 international contributors share their stories from around the globe, bonded by the common thread of motherhood and wanting a better world for their children. World Moms Blog was listed by Forbes Woman as one of the "Best 100 Websites for Women 2012 & 2013" and also called a "must read" by the NY Times Motherlode in 2013. Our Senior Editor in India, Purnima Ramakrishnan, was awarded the BlogHer International Activist Award in 2013.